EXCLUSIVE AT NET-A-PORTER. Influencer and designer Sarah Staudinger grew up surrounded by fashion - her mother designed footwear which sold at one of Sunset Boulevard's most popular stores. 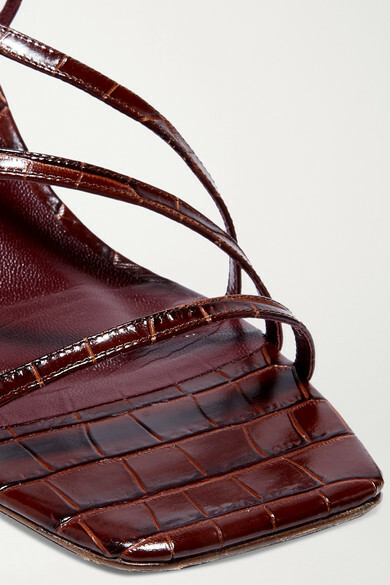 Part of STAUD's first shoe collection that's inspired by no-fuss '90s minimalism, these strappy 'Gita' sandals are made from dark-brown croc-effect leather and shaped with square open toes. We also have the red and sky-blue versions in our edit. 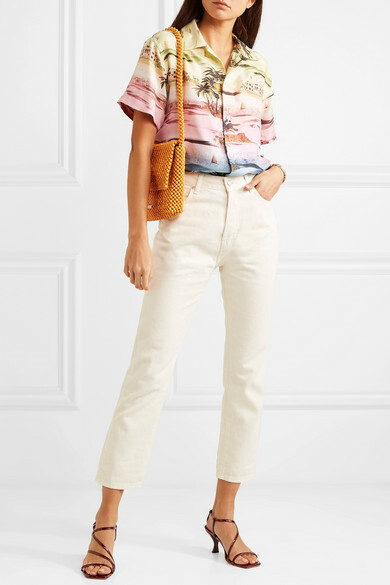 Shown here with: CASASOLA Jeans, AMIRI Shirt, Loeffler Randall Shoulder bag.